I've wanted to make a Romantic Dream Catcher ever since I saw these. When I heard there was a pool noodle party I thought hmm maybe I can use one to make a soft romantic style dream catcher. I taped it all all around with packing tape to stabilize it. Then taped the ends together. I wrapped the tape covered pool noodle with ripped strips of muslin and then wrapped it again lightly with seam binding. 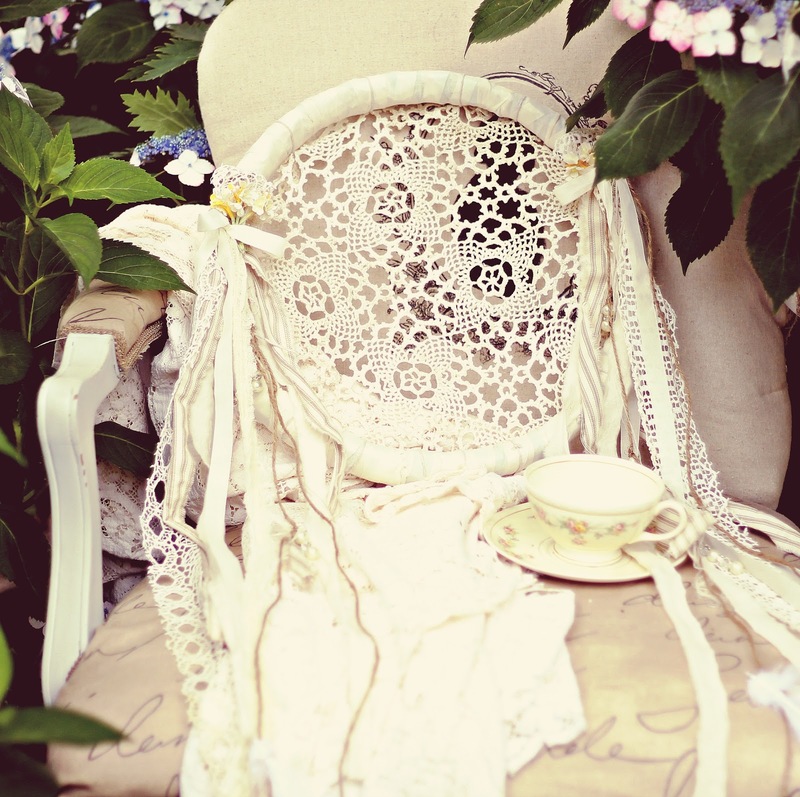 I used vintage crochet lace that I purchased from the thrift store in place of the netting that's usually used in the center. 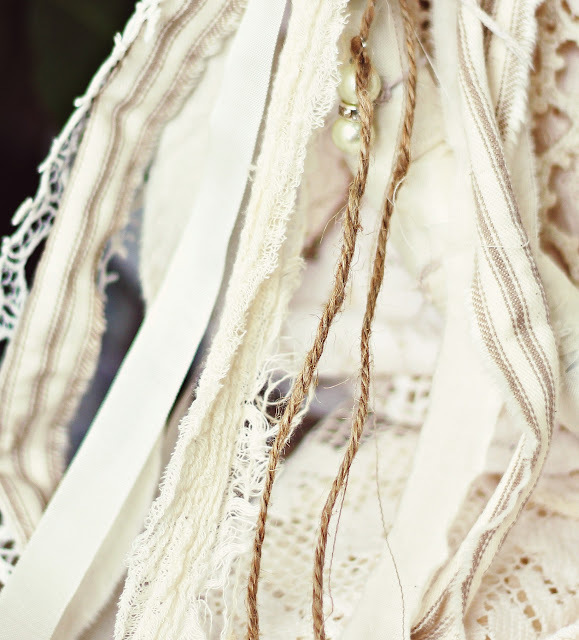 I tied on ticking stripe fabric, vintage lace, twine, maribou feathers, pearls, rhinestones, crystals and a vintage look posies. My oldest Daughter claimed this as her own as soon as I completed it. 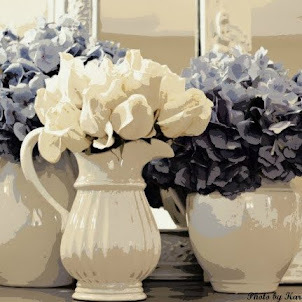 Its now hanging in her very shabby chic bedroom. She takes after her mother lol. 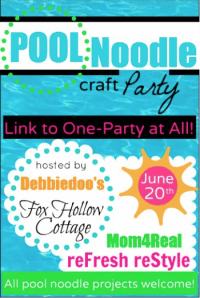 I'm joining Debbiedoo's for the Pool Noodle Party. No way! You have completely blown me away on this one! It's beautiful! I love this! Thank you for posting it. 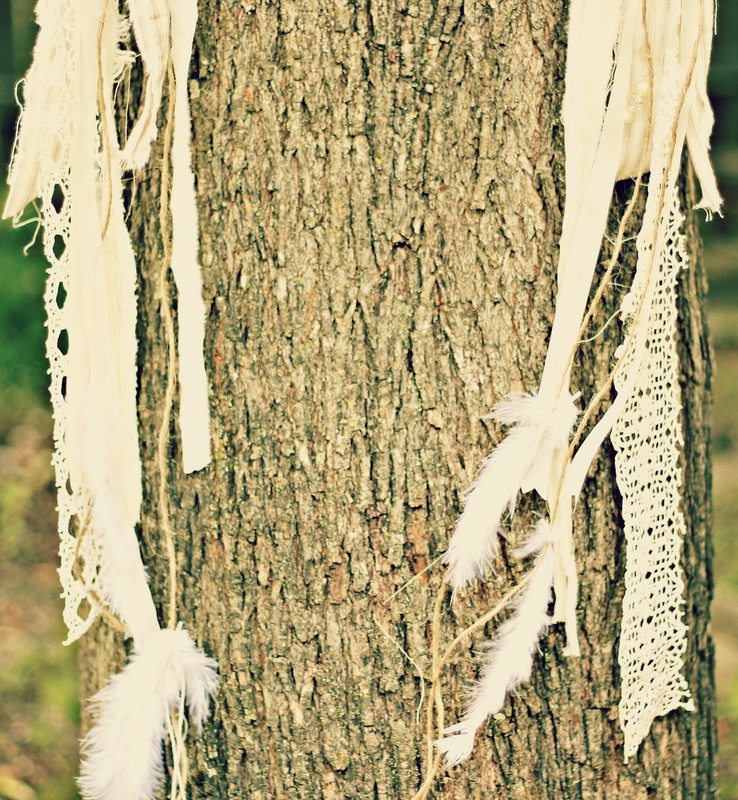 I have been wanting to make a dreamcatcher after seeing the ones on Simply me blog. Yours is beautiful! Oh. My. Gorgeous! I have never seen anything like...just beautiful! Thank you so much for linking it up to our party! I'll be following from now on! This is jaw-dropping gorgeous, Karen! Your pictures are amazing. Amazing! I cannot believe that is from a pool noodle! That is beautiful, Karen! It is very dreamy looking! That is so unique and sweet....that was a great idea for the noodle. Karen you are too cool for school! This is fantastic! Thanks for sharing with our noodle party. This is fun to hop around and see all these great ideas. Karen, that is so pretty! You have such grand ideas and the talent to carry them through. I kind of went backwards up the list for the party so I'm getting to this last. It's possibly my favorite of all. It's so unique and pretty. (And now I have to go google "dream catchers" to see the origin and all about them. Just plain lovely! I can understand why your daughter claimed it! What a beautiful take on an old idea. Your pictures are gorgeous. I love this dream catcher. I am off to DOllar Store to pick me some up noodles. Going to add some color to mine using my Blue & Gold Macaw parrot's feathers. Been saving them for something spectacular and now you have supplied the idea. Thank you. Take care. I never would have thought that something so pretty could be made form a pool noodle! I have always loved dream catchers, and yours is stunning. Great job! Wow! Your so creative. I love it. So pretty! now I'll have to make one too! Great job! 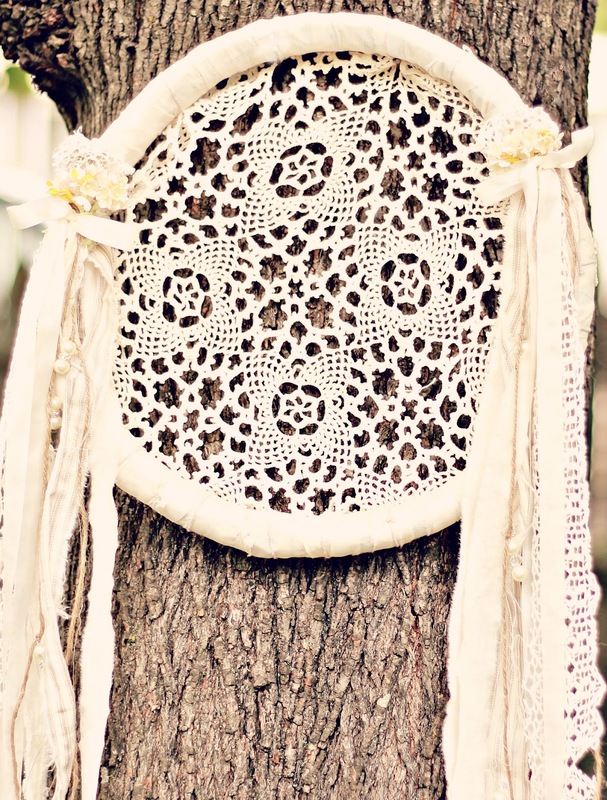 I love dream catchers, and this one is thinking outside the box! 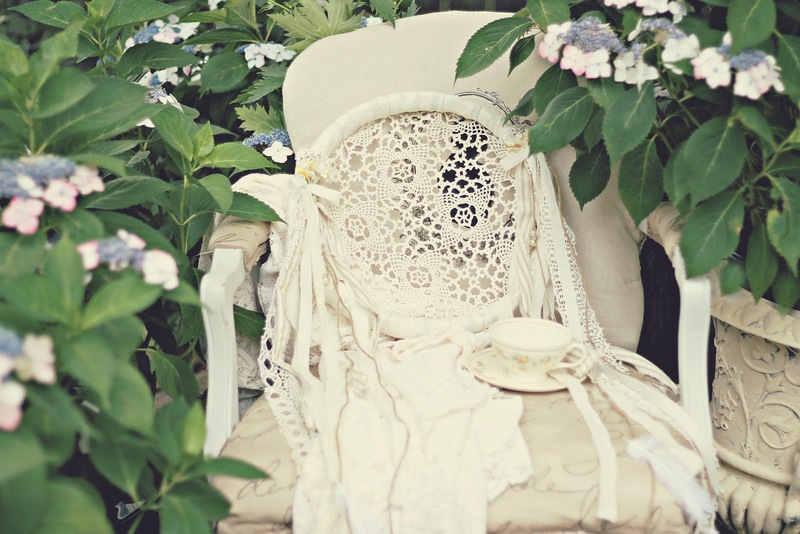 We'd love to have you share at our linky party, it's brilliant! Just found this and am absolutely in love!!!! What a great idea! So soft and feminine, who would guess that it's made from a pool noodle!